It is amazingly tough to narrow down my list of blogs to share each week. The five blogs that I'm sharing with you this week are seriously awesome and so are their authors! If you missed last week's list, you can go here and check it out. 1. The Imagination Tree- You have heard me mention this blog before because I absolutely love Anna's weekly Five-A-Day Books Challenge. Over the weekend she was presented with the UK's MAD Blog of the Year award. I love her simple style, great writing, and fun ideas. I loved her recent marbled oobleck creation. It is gorgeous and I just know it is so fun to play with. I can't wait to try it with Andrew! Definitely check out her blog! 2. 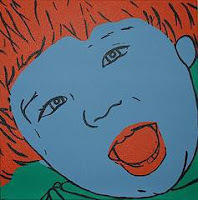 Red Ted Art- Maggy's blog is another one that I regularly visit. It is chock full of amazing ideas. Her Autumn Get Crafty 2011 post is my current favorite... and her acorn animals are so creative! Over the weekend, Maggy won Best Craft Blog and Best Preschool Fun Blog at the UK's MAD Blog awards. She definitely deserved both! Go check out her site. 3. Pre-K Pages- Whatever you are looking for... I guarantee Pre-K pages probably has some resources for you. 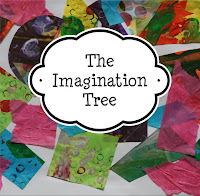 I love Vanessa's page with theme resources and I absolutely loved the Book Study Blog Party for Literacty Beginnings that she hosted earlier this summer. Her blog helps me be a better mom and teacher! 4. Child Talk- Becca's blog is a great source of information for parents who want to know more about their child's speech and language development. I recently posted two of her articles about Using Pictures to Help with Beginning Language on our Toddler Approved Facebook page. She also has a great page filled with strategies and activities. Whether your child has a speech/language delay or not, this site has some great resources for parents. 5. 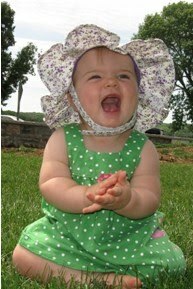 Pink and Green Mama- Just looking at MaryLea's blog home page makes me excited. Her creations are always colorful, fun, and inspiring. I love that she is willing to neglect housework and chores in favor of playing with her girls and crafting! She is my favorite type of mom :) I love her homemade paint brushes and texture tools and I think her recent Not-so-scary play-doh monsters are hysterical. Did you discover any new blogs this week? If you read any of these blogs already, what are your favorite posts? Only a few more hours left till our Fall Giveaway closes... so make sure you check it out!! Yours! From Monday Madness. Now following!! !